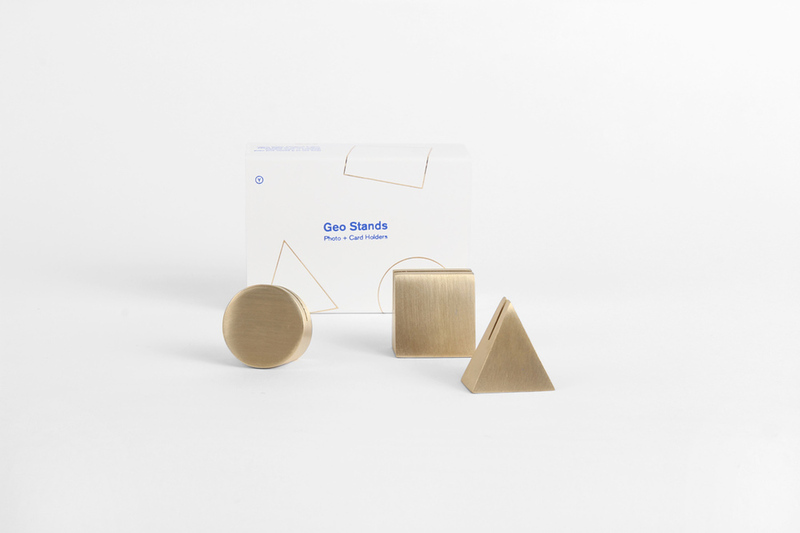 Yield Design’s Geo Stand Set adds an element of quirk. This trio of sculptural anecdotes can be used as paperweights, name cards, photo holders, business card holders or sculptural elements. Made from brushed brass, these geometric pieces are beautifully executed.